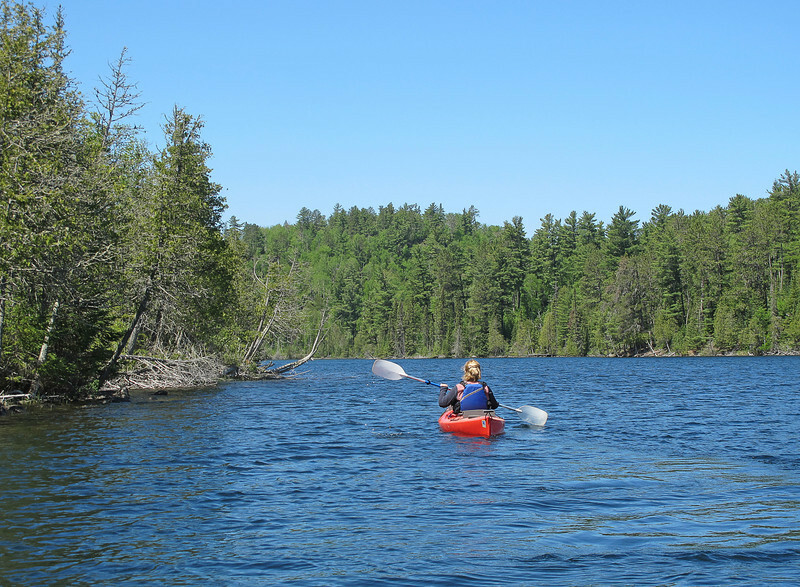 Our daughter and granddaughter were still visiting this week so we took a short day trip by canoe to a lake off the Gunflint Trail. I wanted to show our granddaughter a moose but not the one we encountered. Karla spotted what we thought was a rock near the shore in a back bay. As we paddled closer, the swarms of flies gave a clue to the harsh reality. Luckily, we were on the up-wind side and didn’t encounter any of the smell. 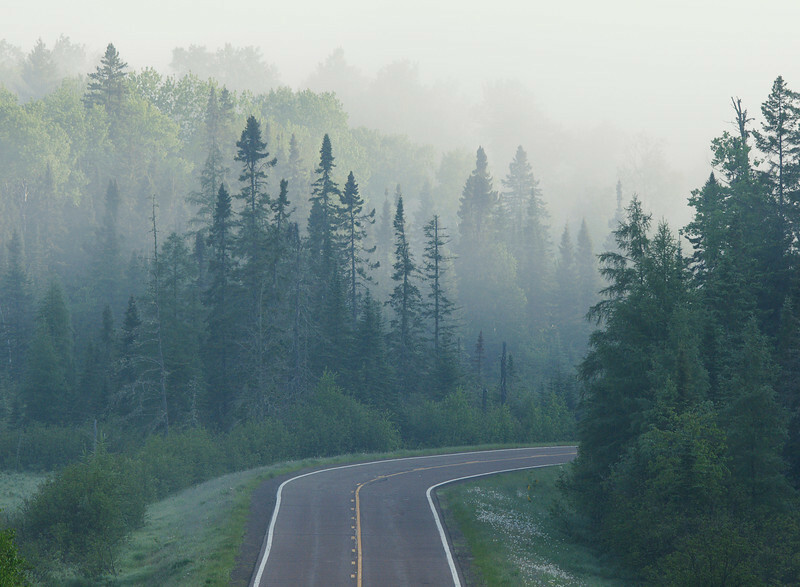 Moose have been dying over the last few years and researchers don’t have any answers as to why this is happening. 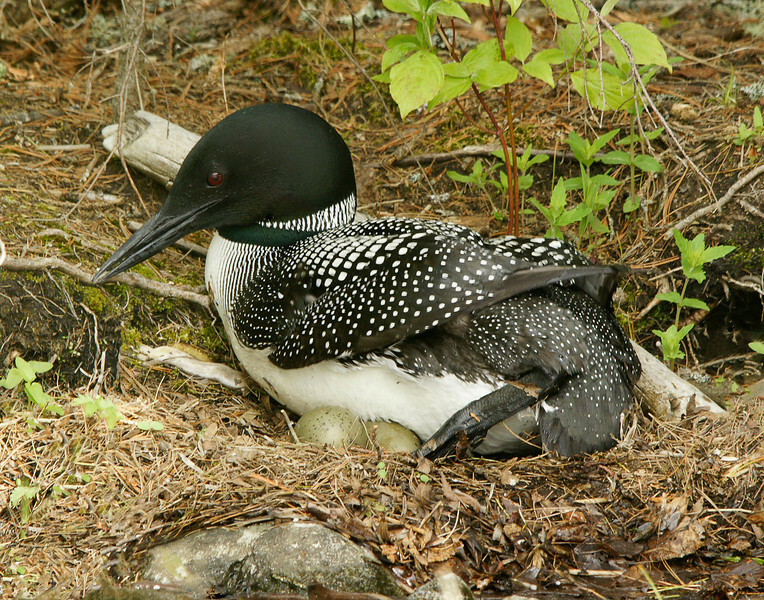 Shortly, the male loon swam right over to the nest and climbed up. 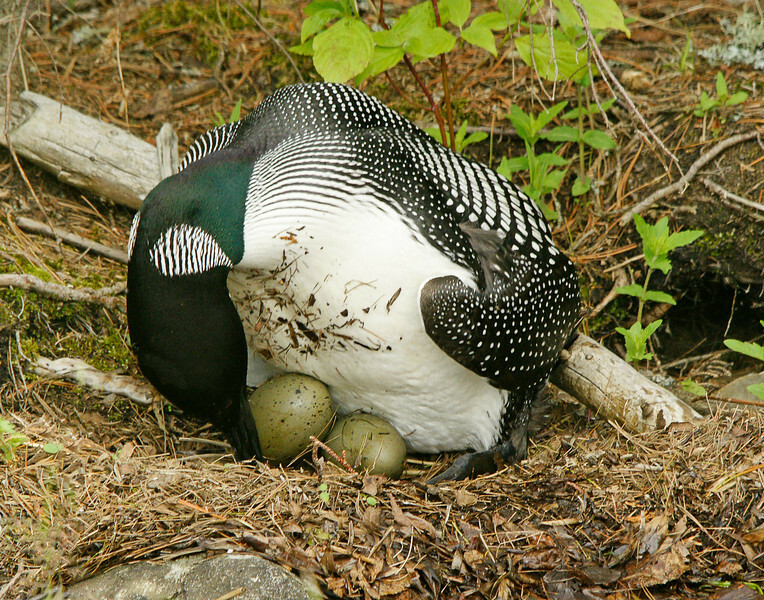 Right in front of us, he turned the eggs and settled down for his turn at keeping the eggs warm. 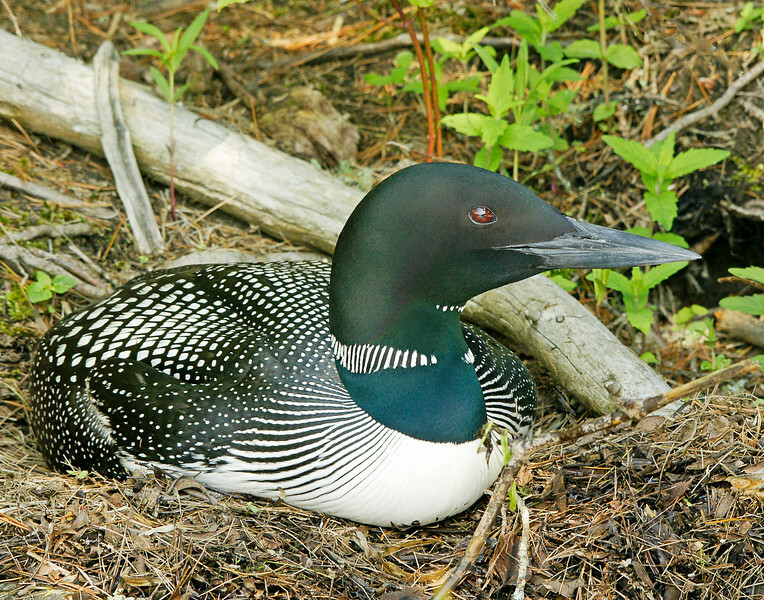 Being that this was Addie’s first loon encounter, I think it will be one of the best she will ever have. Not too many three year olds get an experience like this wilderness lake offered her. 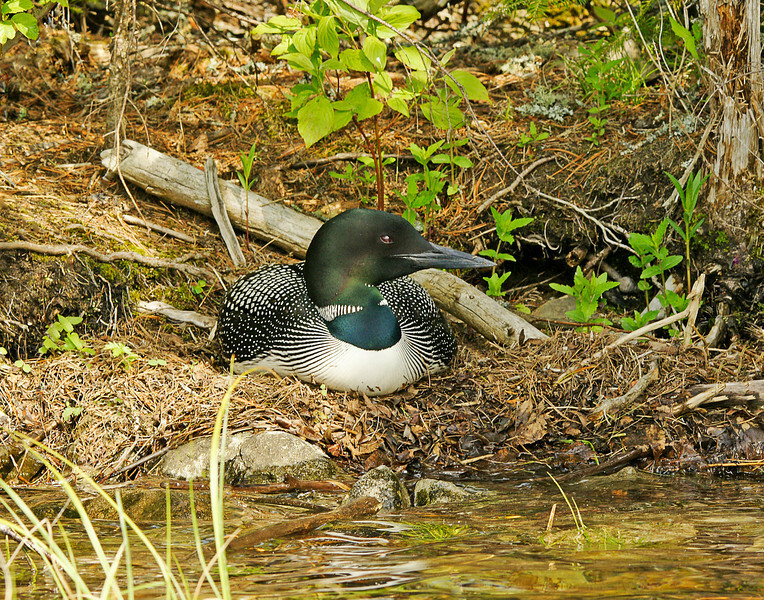 As we rounded a corner on an island a second loon showed up. At this point I knew there must be a nest close by. I was surprised at the size difference between the male and female. 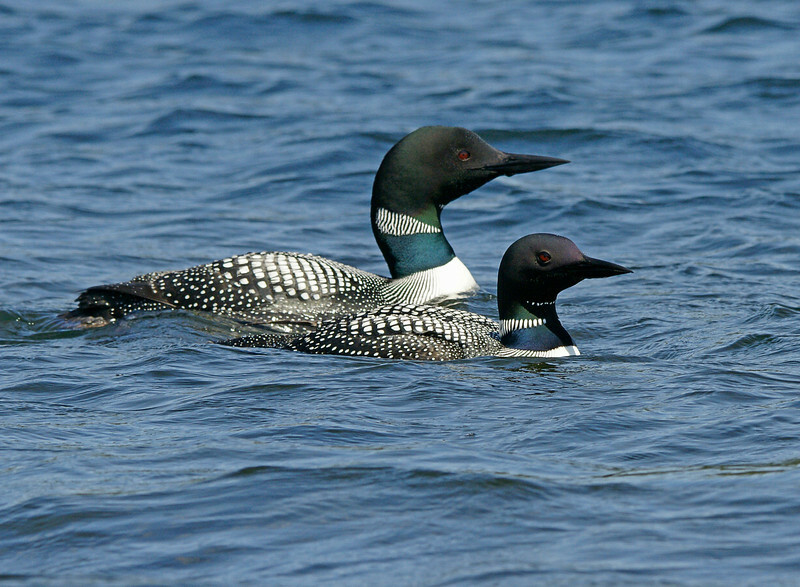 Usually the male is somewhat larger but in this case he looked twice the size of the female. 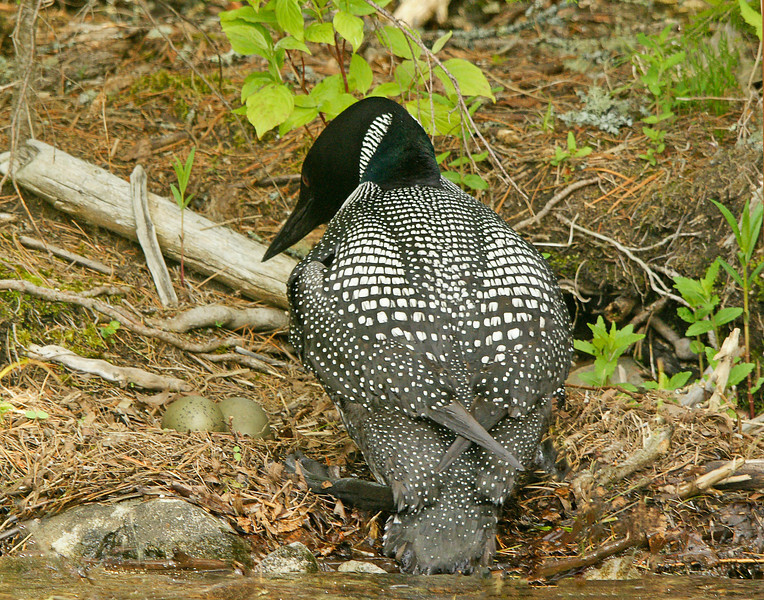 About a mile into our trip we encountered a very friendly loon. 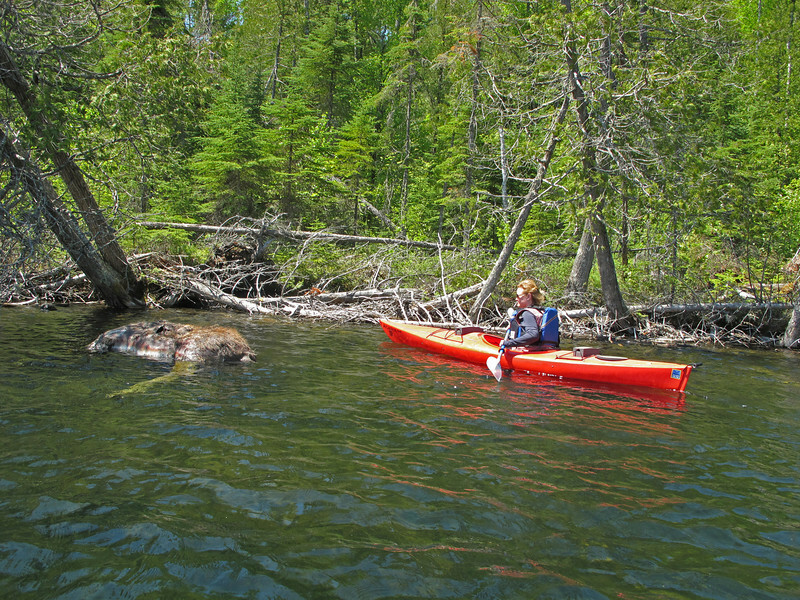 It swam right up to our canoe giving all of us some great views. If you look close you can see the insects flying around its head. 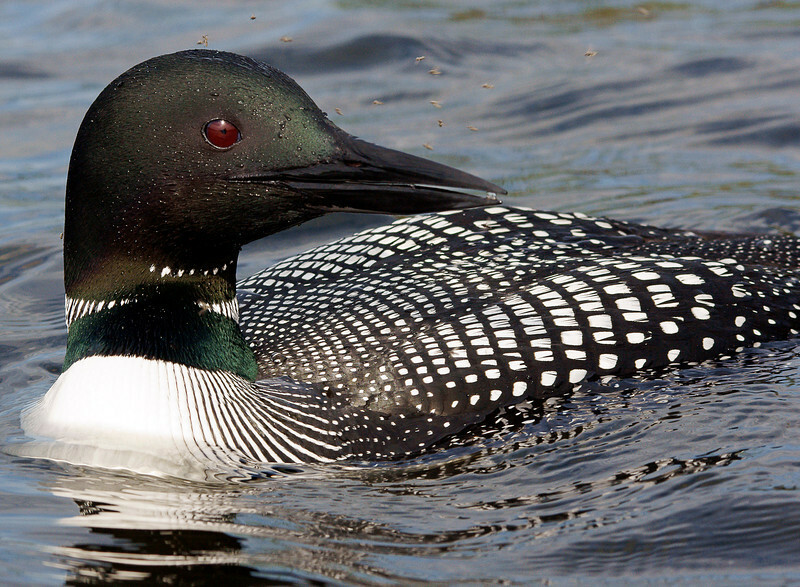 There is also one in the loons mouth as he was eating them when they came close.